This new book for mathematics and mathematics education majors helps students gain an appreciation of geometry and its importance in the history and development of mathematics. The material is presented in three parts. The first is devoted to a rigorous introduction of Euclidean geometry, the second covers various noneuclidean geometries, and the last part delves into symmetry and polyhedra. Historical contexts accompany each topic. Exercises and activities are interwoven with the text to enable the students to explore geometry. Some of the activities take advantage of geometric software so students - in particular, future teachers - gain a better understanding of its capabilities. Others explore the construction of simple models or use manipulatives allowing students to experience the hands-on, creative side of mathematics. While this text contains a rigorous mathematical presentation, key design features and activities allow it to be used successfully in mathematics for teachers courses as well. Dr. L. Christine Kinsey is in the Mathematics and Statistics department at Canisius University. 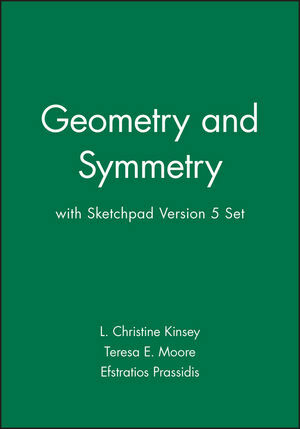 Teresa E. Moore is the author of Geometry and Symmetry, published by Wiley. 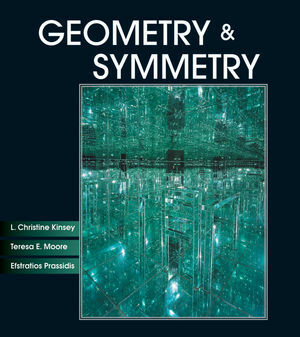 Efstratios Prassidis is the author of Geometry and Symmetry, published by Wiley. 1 A brief history of early geometry. 2 Book I of Euclid's The Elements. 2.3 Propositions I.27–32: Parallel lines. 2.6 Hilbert's axioms for euclidean geometry. 3.4 Inversion in a circle. 4.1 Straightedge and compass constructions. 4.3 Constructions with compass alone. 4.5 Knots and star polygons. 6.1 The history of hyperbolic geometry. 6.3 Models of the hyperbolic plane. 6.8 Triangles in hyperbolic space. 7.1 Exploring the geometry of a sphere. 8.5 Isometries in hyperbolic geometry. 9.1 Tilings on the plane. 9.2 Tilings by irregular tiles. 9.3 Tilings of noneuclidean spaces. 10 Geometry in three dimensions. 10.1 Euclidean geometry in three dimensions. 10.5 Isometries in three dimensions. A.8 Van Hiele levels of geometric thought. B.2 Book I of Euclid's The Elements. B.10 Geometry in three dimensions.